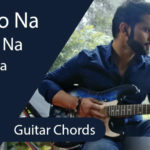 Maine Socha Ke Chura Loon Guitar Chords | We all have that one playlist which has songs that become our lullaby at night. 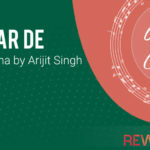 The soundtrack “Maine Socha Ke Chura Loon” from Phir Se is yet another amazing ballad by our favorites Shreya Ghoshal and Arijit Singh that perfectly fits into the description. Somehow songs always find a special place in our hearts, like a rhapsody of our emotions and lyrics to our unsaid words. There’s always that one song out there that speaks to us. 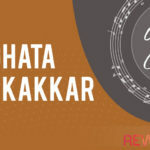 This particular song has touched many hearts and has been the voice of many love-struck youngsters. With the pre-valentine fever, the song is a good choice for surprise candlelight or a weekend getaway or even a late night drive along the shoreline. The lyrics penned down by Rashmi Virag intricately describe the beauty of a woman and the way man is mesmerized by it. It also portrays love in a pure and innocent form. A love story with soothing melodies and heart touching voices of Arijit and Shreya, this song will make you want to fall in love if you’re not already. The song from the man’s point of view is a beautiful expression of the passionate love he has for his significant other and how he never fails to show it to her. 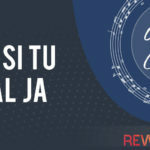 A mix of a little sweet and spice, this track can make a really good rainy morning jam or a good background to that proposal you’ve been planning for that special person. So with the love season around the corner, allow the melody of the song ‘Maine Socha Chura Loon’, with the amazing and soothing voices of Arijit and Shreya make your day even more special and kick off a great love month. Am, G, F, C, Dm & E – 6 chords are being used in the chord progression of the soulful song. The strumming that we suggest in this song is DDU UDU and D(c)U U(c)U where (c) denotes the chuck for the muting effect.